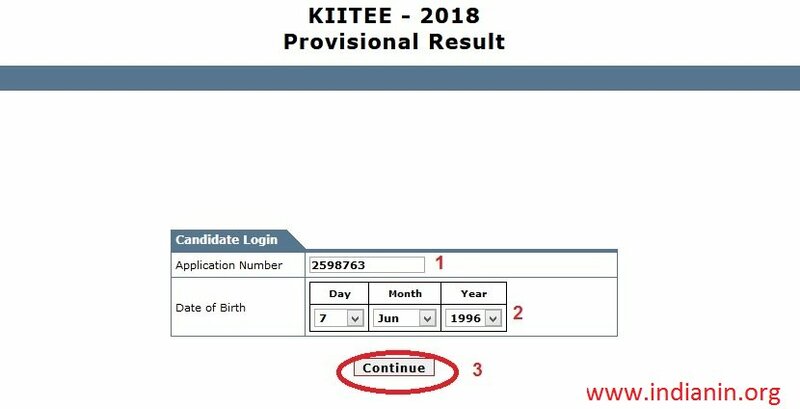 KIITEE Result 2018 has been declared on 26th April 2018. It has been announced by the KIIT University. It is the authority which organizes a university level examination. This exam is known as Kalinga Institute of Industrial Technology Entrance Exam (KIITEE). It is conducted for providing admissions in engineering, management, law, etc. Step 3 : Click Continue button and get your result displayed on the screen. Once the result is displayed online screen, they can download or take a printout of the same for further reference. KIITEE Counselling 2018 will be started from the 10th May 2018 through offline mode. The seat allocation will be purely based on the merit and candidate’s performance in the entrance exam. 1. 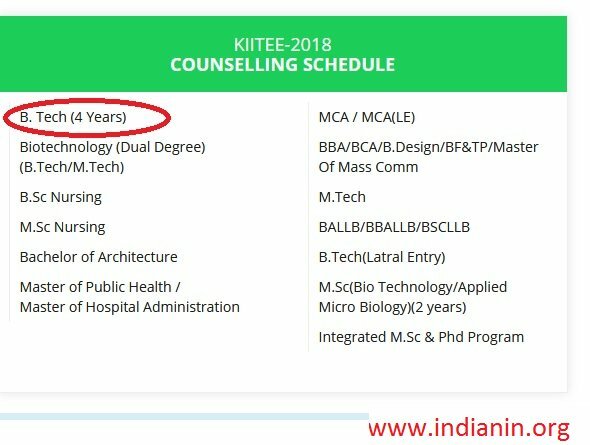 Visit the official website of KIIT and find the “COUNSELLING SCHEDULE” tab . 2. Then select the particular Course. 3. Your Counselling Schedule will be displayed in a PDF Format. 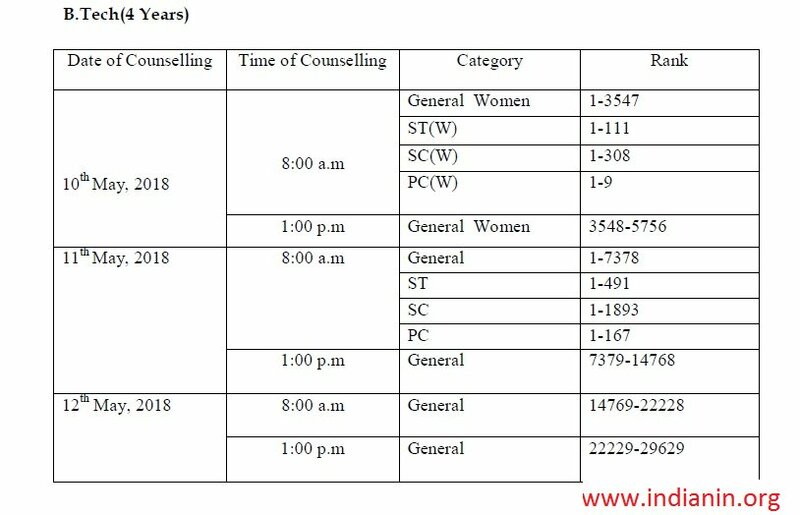 Click the File to view your counselling dates. 2. Candidates have to report at the counselling venue half an hour before the time of counselling. 3. Candidates should check the KIIT website get updated information regarding counselling. 4. Counselling will be stopped at any time as soon as all the seats are filled up. Candidates should produce following Original Certificates with one set of Xerox Copies on the day of counselling. 7. Demand Draft of Rs. 75,000/- which includes the counselling registration fees of Rs. 10,000/- in favour of KIIT, payable at Bhubaneswar. Cash payment will not be accepted. Balance fees is to be deposited by 11th June,2018. (i) SC/SC(W)/ST/ST(W) – Relevant Certificate issued by the Competent Authority, clearly indicating the Reservation Criteria claimed by the candidate. (ii) PC/PC(W) – Physically Challenged certificate issued by authorized Medical Board. I. Candidates who have passed 10+2 examination in 2016,2017 or appearing in 10+2 examination in 2018 are only eligible to apply B.Tech. (4years) Programme of the University. II. Should have studied in regular full time formal education in their schooling / college. III. Pass in 10 +2 or its equivalent with at least 60% marks in Physics, Chemistry and Mathematics taken together. IV. Should have born on or after 01.07.1997.